These are heady days for slide guitar fans. The old guard (Ry Cooder, David Lindley, Sonny Landreth) continues to crank out albums, although with age the output seems to have slowed to about one every five years — collectively. Meanwhile, the next generation (Luther Dickinson of the North Mississippi Allstars; sacred-steeler-gone-wild Robert Randolph; and Trucks, who also is in the Allman Brothers and will be joining Doyle Bramhall II to back Eric Clapton on a European tour from May through July) has emerged. Like Cooder, Trucks has taken a shine to world music, at least of the Indian variety. He’s also displayed an affinity for jazz, blues, country, soul, gospel and Latin. 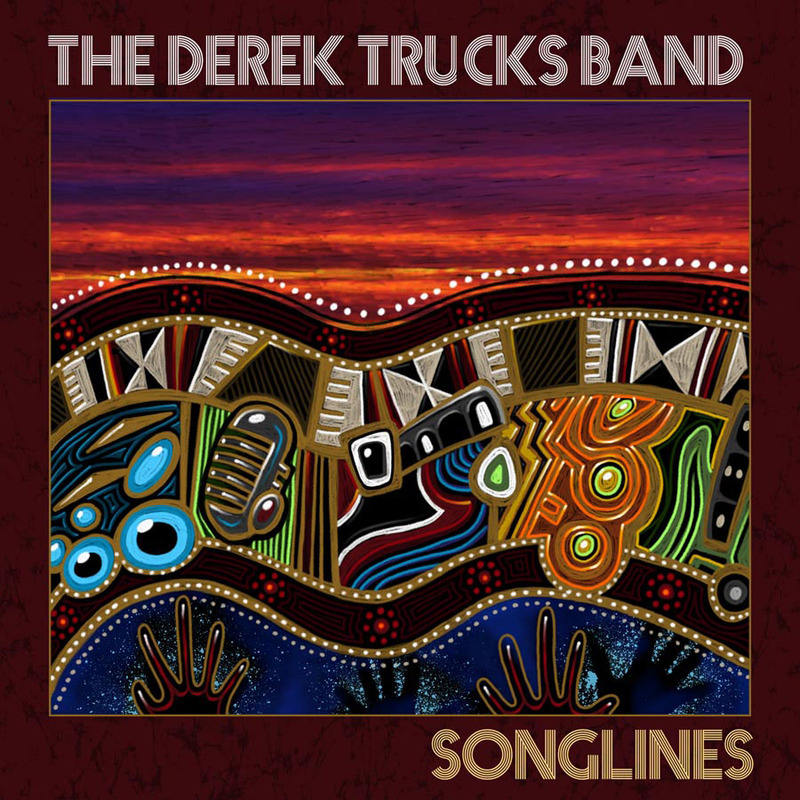 What makes “Songlines” different from other Derek Trucks Band albums is the incorporation of a full-time singer into what has been a predominantly instrumental lineup. Mike Mattison of the Minneapolis/St. Paul duo Scrapomatic was a good choice, as his soulful vocals fit the group’s eclecticism like a glove. This time the musical grab bag includes songs by Rahsaan Roland Kirk, the late Nusrat Fateh Ali Khan, Taj Mahal, Toots Hibbert, O.V. Wright and Nina Simone, as well as five original compositions and a traditional number. The term songlines, incidentally, is derived from the Aborigines’ belief that their elders traveled the continent literally singing their world into existence. The “songlines” they created became a map for finding one’s way through life.